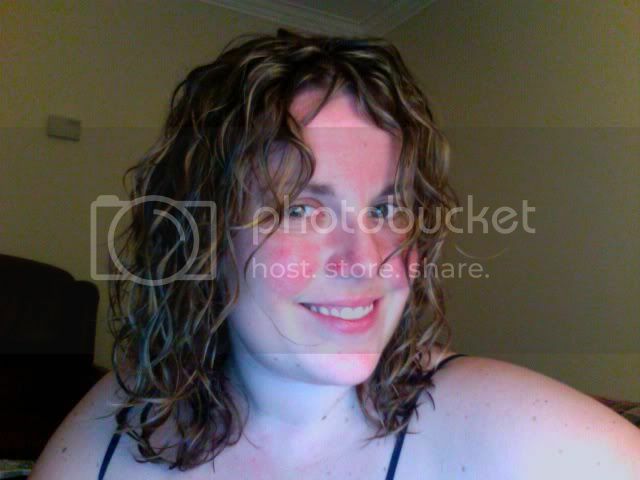 Let's see how much curl we can get out of this wavy! Did a baking soda clarifier, ACV rinse, followed with Suave Naturals Coconut CO-wash, [buylink=http://www.curlmart.com/DevaCurl-One-Condition-p-55.html?utm_source=naturallycurly.com&utm_medium=text-link&utm_content=curltalk-post-text&utm_campaign=devacurl-devacurl-one-condition]DevaCurl One Condition[/buylink]. Since Deva is all I have in my arsenal until JessiCurl delivers, I used [buylink=http://www.curlmart.com/DevaCurl-BLeave-In-p-434.html?utm_source=naturallycurly.com&utm_medium=text-link&utm_content=curltalk-post-text&utm_campaign=devacurl-bleavein]B'Leave In[/buylink], AnGell, and Set It Up. My biggest problem is getting it to hold up throughout the day. I got addicted to the Awe Inspiring Spray when I got my JC sample pack last year - I think I used up the entire thing in a couple weeks! Maybe not enough moisture, protein, I have NO idea. 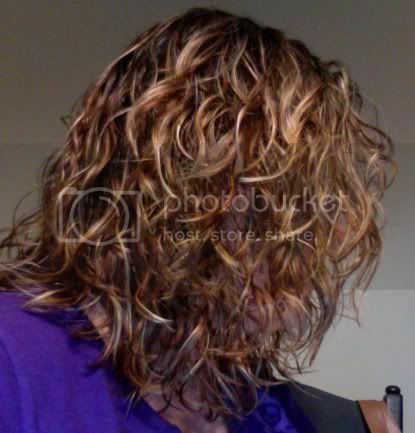 I wasn't CG at ALL at that point, was just trying products. I work all day (like most of us do), but in the healthcare field, so by the end of the day, I've submitted to the rubber band that is persistently around my wrist. Any pointers? Deva - ArcAngel, One Condition, [buylink=http://www.curlmart.com/DevaCurl-BLeave-In-p-434.html?utm_source=naturallycurly.com&utm_medium=text-link&utm_content=curltalk-post-text&utm_campaign=devacurl-bleavein]B'Leave In[/buylink], Set it Free, AnGell. I tried to get the JC RR, [buylink=http://www.curlmart.com/Jessicurl-Confident-Coils-Styling-Solution-p-116.html?utm_source=naturallycurly.com&utm_medium=text-link&utm_content=curltalk-post-text&utm_campaign=jessicurl-confident-coils-styling-solution]CCSS[/buylink], and GS back, but she wanted to try it first. I convinced her. Your waves are gorgeous! Your hair is just going to continue to get more fabulous. It's going to look amazing! Scrunched in JCRR, JCCC, and plopped for about 20 min or so. Diffused for about ten min (probably less, because it's about ten pm, and I was anxious to see how it looked). What a difference! I can feel it already! Ignore the crappy haircut (growing out bangs), and the rosacea. My test will be to see how long I can get the waves to last. I love your haircut, it's so cute!